"So good to see you! Finally!" Partners in crime typically share a very familial bond that transcends any other relationship. It's that bond that allows them to operate and commit crimes so efficiently. Sometimes though, things tend to fall apart and get dicey between the former partners. The Glory #1 takes a look at the fallout from one such relationship. The issue is written by Glenn Møane, illustrated by Tirso Llaneta, colored by Monte Thompson and lettered by Sean Rinehart. After several years in prison Andy is finally out on parole, ready to build a new life for himself. But first he has to see Todd, Andy's old partner in crime and the reason he went away. For weeks Todd has been begging for them to meet, claiming that he has something important to tell him. Andy reluctantly agrees. Møane's approach in The Glory is one that focuses on a slow-burn and it actually works really well. The interplay between Todd and Andy is rife with tension as Møane's dialogue moves from an uneasy recognition to pure anger between the two. Møane uses that effectively though in pacing the issue, accelerating their entire relationship for the duration of a single conversation into a pretty dramatic climax. That climax is a pretty solid payoff as well and the fact that Møane can pull it off with so few characters is pretty impressive as he leverages the built-in tension with such a situation to carry the scene further. And reading through the issue, Møane doesn't tip his hand at all as to how things will end which keeps plenty of suspense in the air for the reader. The artwork by Llaneta is very powerful. Andy and Todd are both illustrated as visual polar opposites of one another, in that Todd is significantly fitter and more menacing based on looks whereas Andy has dealt with image issues his whole life. Llaneta does a great job with facial expressions that emphasize some of the aforementioned tension and some of the more action-oriented sequences effectively capture the animosity between the two. The empty gutters also frame each panel as snapshots of an otherwise typical day at a bar save for Llaneta's populating it with plenty of interesting characters. Thompson's colors are predominantly reds and browns which underscore the otherwise depressed nature of the bar as the encounter between the two former partners goes down. 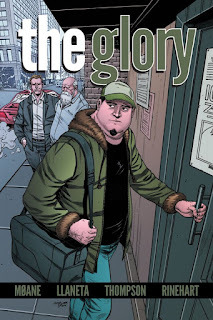 The Glory #1 is a strong one-shot that gets to the core of what makes people tick. Todd and Andy both committed crimes for whatever reason, yet at the end they both came to very different places as far as what they wanted to get out life. Møane relies on that dichotomy to drive the plot, presenting a very tense encounter between the two that ends in a fascinating way. Llaneta's illustrations are very clean and refined, providing a strong visual representation of the meet. The Glory #1 is really worth checking out if for nothing else to experience the tension alone. 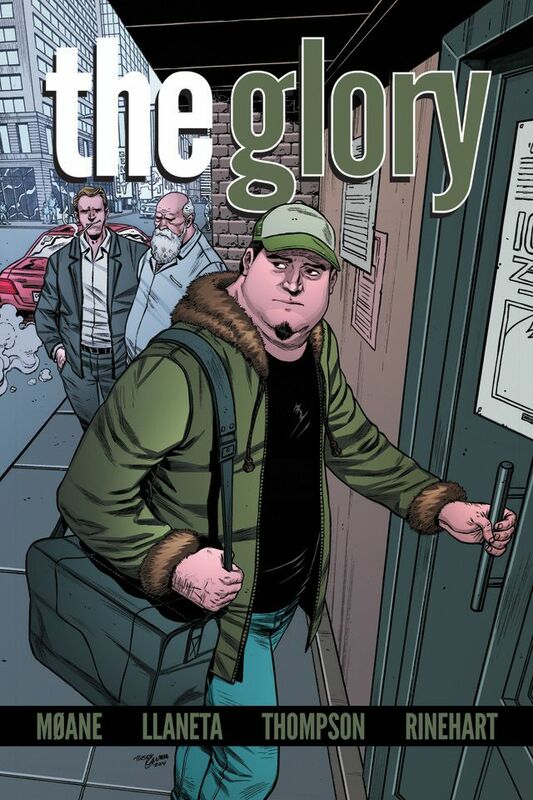 The Glory #1 is available now on comiXology.